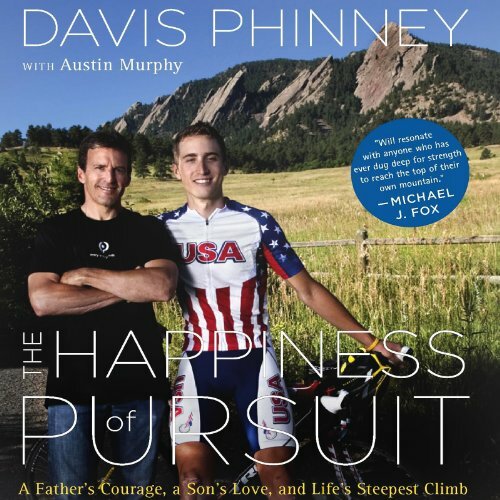 Davis Phinney is a former professional cyclist and TV commentator. He was forty years old in 2000 when he was diagnosed with Parkinson's disease. Davis Phinney's extraordinary racing palmares include an Olympic bronze medal (1984 Team Time Trial) and two stage wins in the Tour de France (1986 and 1987) as part of the pioneering 7-Eleven pro team.. He is a multi-US National Champion and with over 300 wins to his credit, he is known as the winningest bike racer in US history. Off the bike, Davis' expertise was a highly sought after TV commentator until his diagnosis with PD. He lives in Boulder with his wife, the 1984 Olympic Champion Connie Carpenter and together they have run Bike Camps since 1986. They have two children, Taylor and Kelsey. Taylor is a 2008 Olympian, five time World Champion and current USA Pro Champion in the Time Trial. The Davis Phinney Foundation was created to improve the quality of life for people with Parkinson's Disease, please visit davisphinneyfoundation.org to see the great work of the DPF. This book was born from the desire to illuminate Phinney's tribe - individuals with Parkinson's Disease - about his life. Additionally, Davis is known as a gifted story-teller. PD takes - and rarely gives back to afflicted - to the tribe. One of the things it has has taken from Davis is his 'voice' - the ability to embellish a story with sound effects and detail - once so natural, is now much more difficult. The Happiness of Pursuit ensures that these stories will not be lost. Happiness of Pursuit is also a rich tale of fathers and sons - of three generations of Phinneys. The title of the book is a play on the name of the cycling event - the Pursuit - in which Taylor is a two time world champion. Ultimately, it's an upbeat inspirational story of one man's journey - his pursuit of happiness - while living with a chronic and often debilitating illness. Happiness is contagious. Spread the word.